I think it’s pretty safe to say there are two types of people when it comes to making things for anyone other than themselves – selfish and selfless. I generally fall in the selfish camp, but every now and then I get rush of selflessness that makes me decide to dedicate my next project to someone else. Today’s Mood Sewing Network post is exactly about that project, with the lucky recipient being one of my favorite dudes – my baby brother! Matt has always been a big supporter of my sewing, and has been asking me to make him something for years (which I guess it should go without saying that those requests have fallen on deaf ears, also for years haha). Around Christmas last year, he was admiring my newest pair of stretch twill skinny pants and mentioned that he wished he had a pair exactly like that. 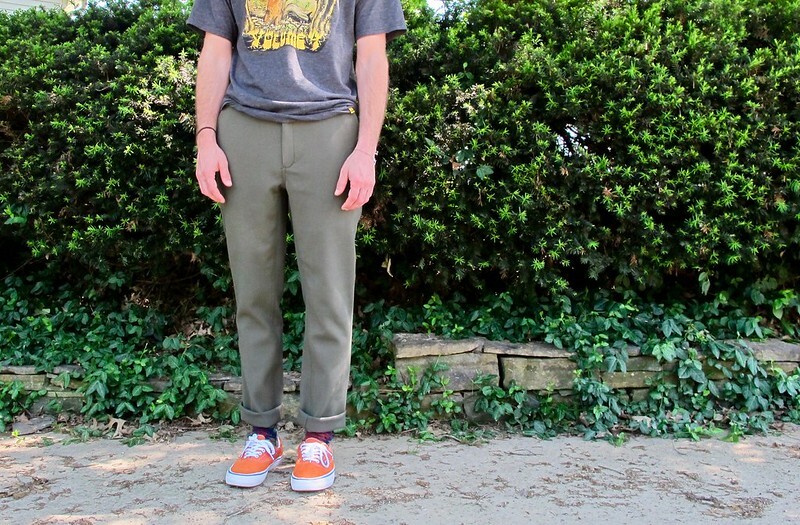 I had just recently come to the realization that I owned nearly 20 pairs of handmade pants but still wanted to keep sewing them (because sewing pants is super duper fun, y’all), so I agreed to make a special project just for him. What little sewing I have done for men in the past has been a bit tricky, as I find men tend to be weirdly picky about certain things – but Matt is really easygoing, and even easier to please. 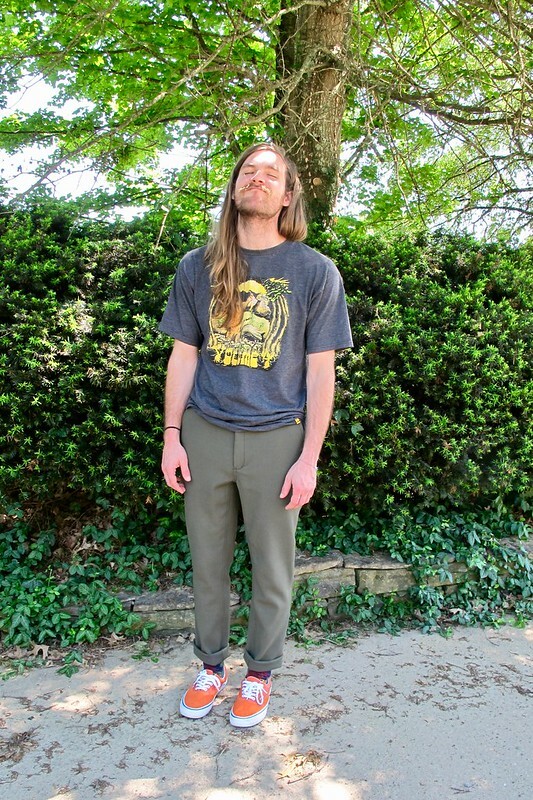 We agreed on the Jedediah Pants from Thread Theory, as the shape was pretty similar to RTW pants that Matt already owns and loves. 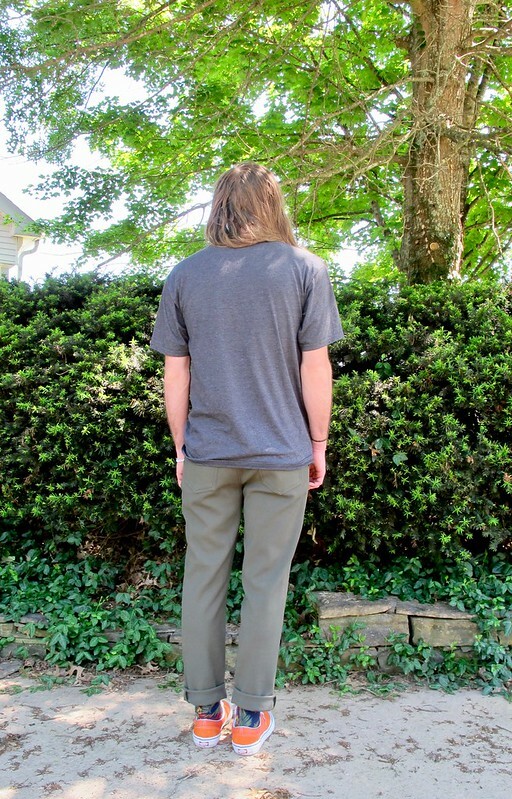 He left me with a pair of his old pants so I could take measurements to decide on the right size, which ended up being a 32 (personally, I think he’s fit better in a 30 – but this is how he wanted them to fit!). I waited until I was back in NYC so I could go straight to Mood Fabrics and choose the fabric in person. The fabric that I used for my original inspiration pants was long sold out (a shame, because it was PERFECT and I will cry a thousand tears when they finally bite the dust haha), but I found a suitable replacement in the stretch twill section. It’s not exactly the same – this fabric is thicker, and almost spongey, with a higher content of synthetics – but it is the same color and has the same amount of stretch. There was only a couple of yards left on the bolt, which was more than enough for a pair of trousers for this dude. Sewing these up was reasonably easy – I’ve made enough pairs of pants that I suspect my hands could do all the work on autopilot while I am sleeping. I did have some trouble with pressing this fabric, due to the super high poly content and aforementioned sponginess of the fabric. I used very high heat for the first press (my iron has a shoe, which acts as a press cloth to prevent melting and scorching, even on poly fabrics), then held everything down with my clapper until it was sufficiently cooled. For areas that required a sharp press – such as the flat-felled seams, or the back pockets – I pinned down the pressed seam allowances and allowed them to cool completely. This was definitely a bit of extra work, but worth the effort as it allowed me to get a pretty good press on a fabric that otherwise wouldn’t have done so. 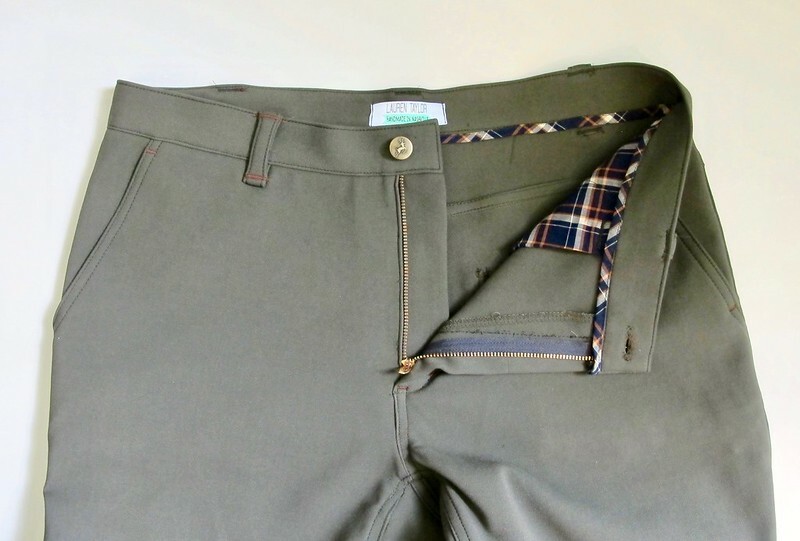 For the pocket lining and waistband trim, I used a plaid fabric that I had in my stash – the same fabric I used for my pants (so it’s like we are pants twins, yay!). I wasn’t given much artistic freedom to really play around with topstitching on the outside – boys are boring, or at least this one is, and he explicitly did NOT want any crazy topstitching designs on the back pockets. 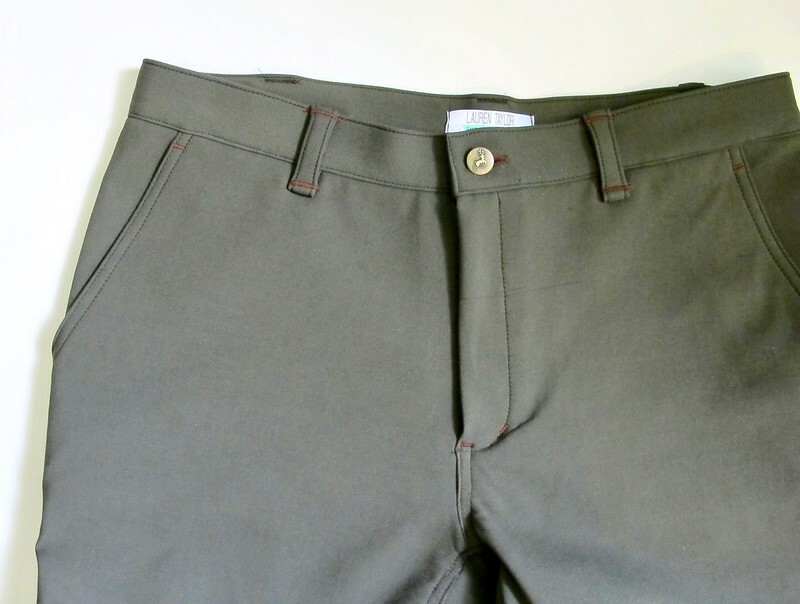 We agreed on a darker olive to topstitch, with dark brown bartacks for visual interest. The jeans button is from the Garment District in NYC, again, it’s the same button I used on my personal pair.